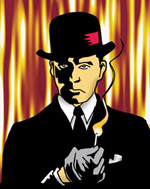 You'll start with a few gangsters and some cash. 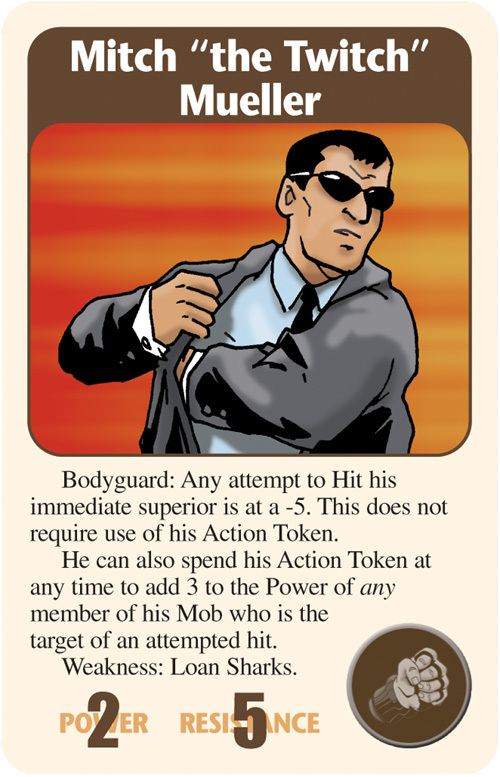 Recruit more crooks and take control of income-producing operations like bordellos, chop shops, and loan sharks. 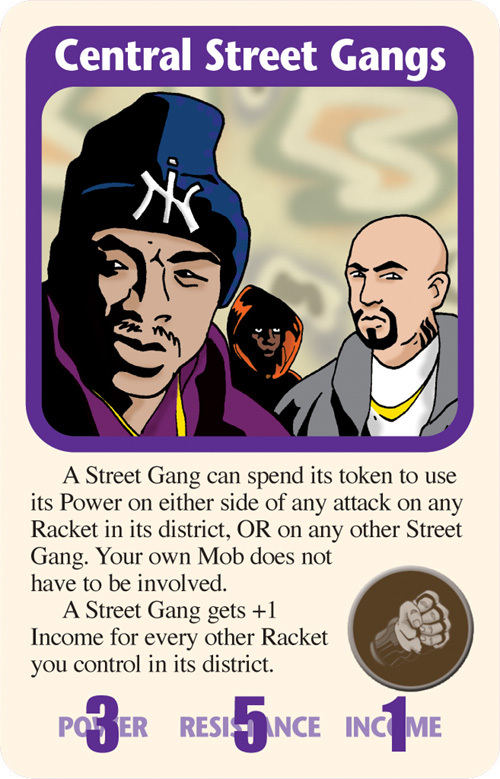 The police and the Feds are after you, but your biggest threats are your fellow mob bosses. Scheme, negotiate, backstab. You can share a victory, but it's much more satisfying to say "There can be only one Boss. And it's me." 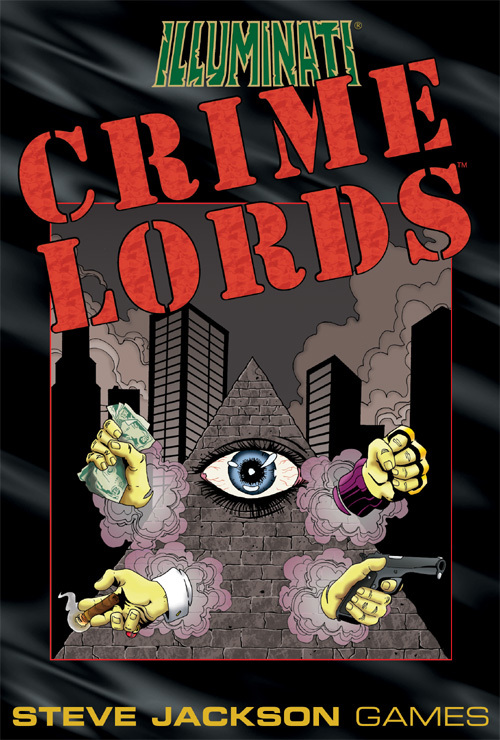 Crime Lords is based on the Illuminati system. 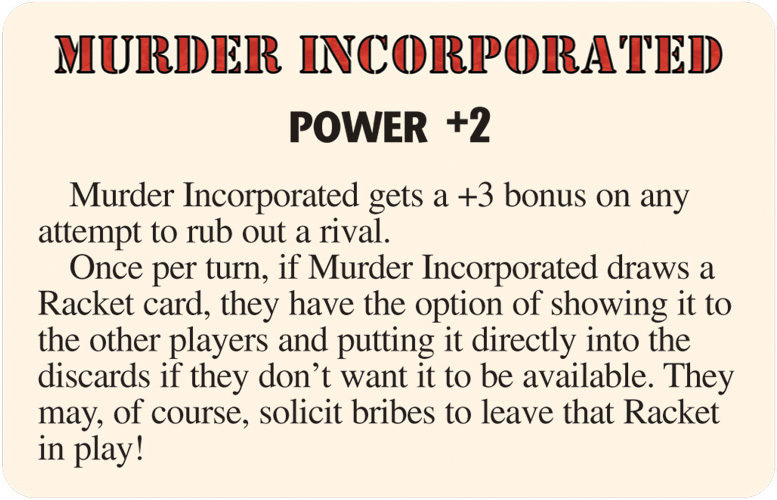 It's not a supplement, but a separate stand-alone game created by Steve Jackson. 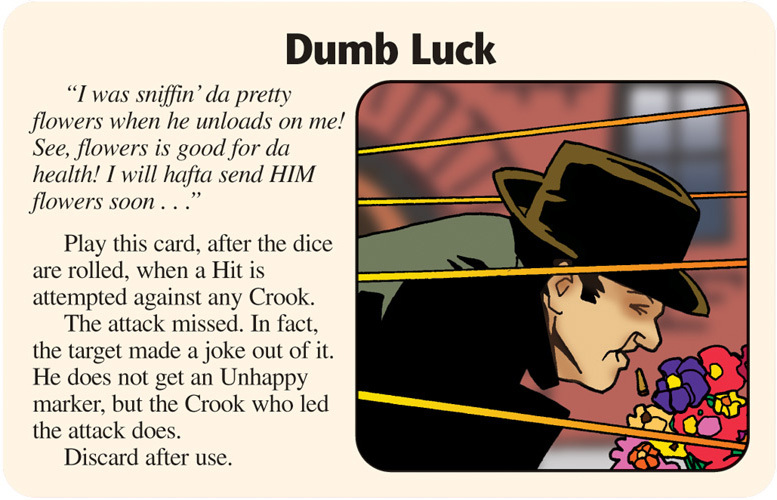 Read the design notes, which include an alternate method to bid for crooks and rules for cheating. Discuss Illuminati: Crime Lords in the Steve Jackson Games Forums.